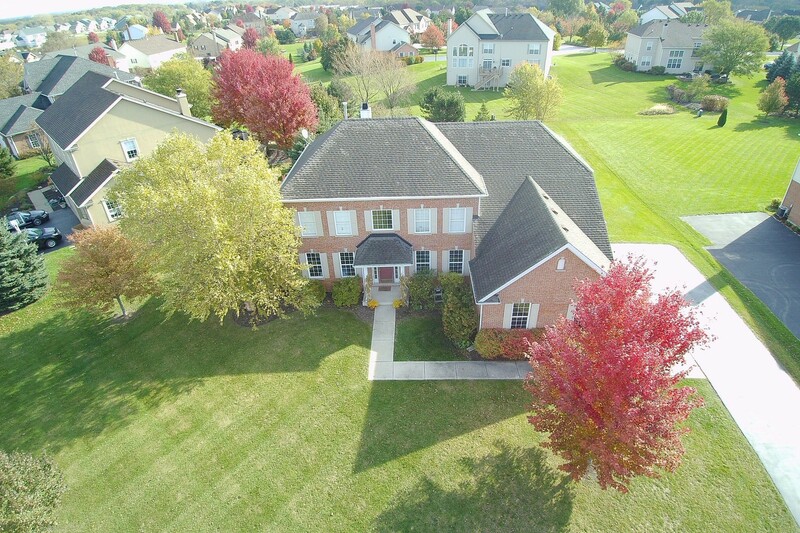 Virtual Tour A classic brick colonial in the Summit w/traditional curb appeal in Fremont/Stevenson school districts w/3 beautifully finished levels! A desirable & open floor plan w/formal living & dining rooms off the elegant 2-story foyer & a 1st floor den. Gorgeous hardwood flooring, neutral color palette w/bright white trim & huge windows throughout for abundant natural light. A gourmet maple kitchen w/42" cabinets, island w/breakfast bar & separate eating area w/sliders to the deck. A 2-story family rm w/stunning fireplace adjacent & open to the kitchen, creating the perfect gathering spot for entertaining your family & friends. 4 spacious bedrooms on the 2nd floor, including a grand master suite w/tray ceiling, 2 walk-in closets & lux bath w/dual vanities, Kohler soaking tub & separate shower. A full finished basement w/rec room, wet bar, office, play room, full bath & great storage. Enjoy the outdoors on the huge deck overlooking an expansive backyard. Beautifully maintained inside & out! I was searching on Blue Fence and found this listing. Please send me more information about 16 Deerfield Drive , Hawthorn Woods, Illinois 60047. Thank you.